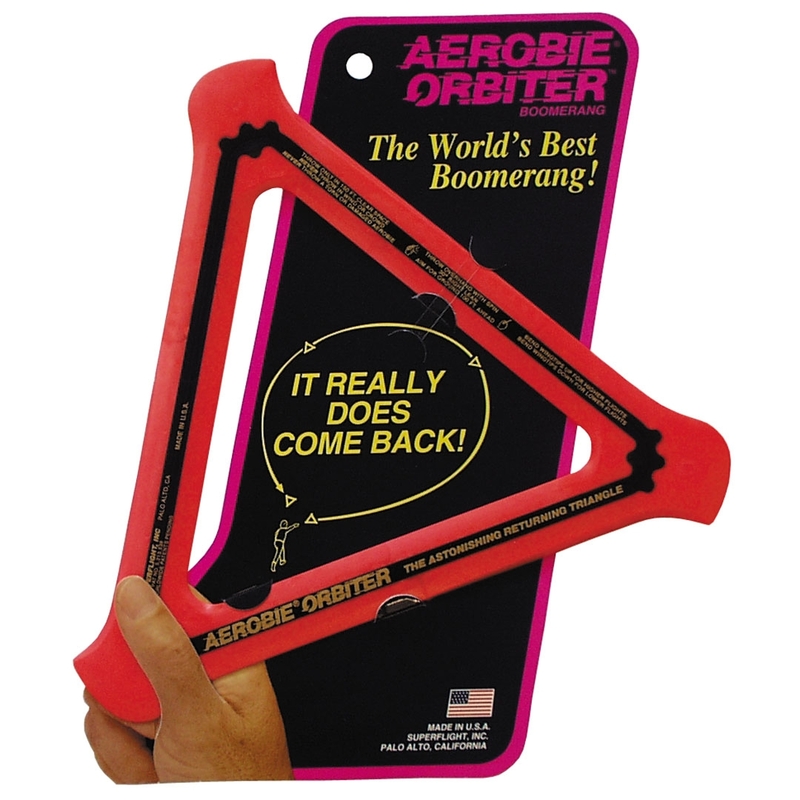 The Aerobie Orbiter, a high performance boomerang, flies out about 90 feet (28 meters) and then returns for thrilling one-person games of catch. 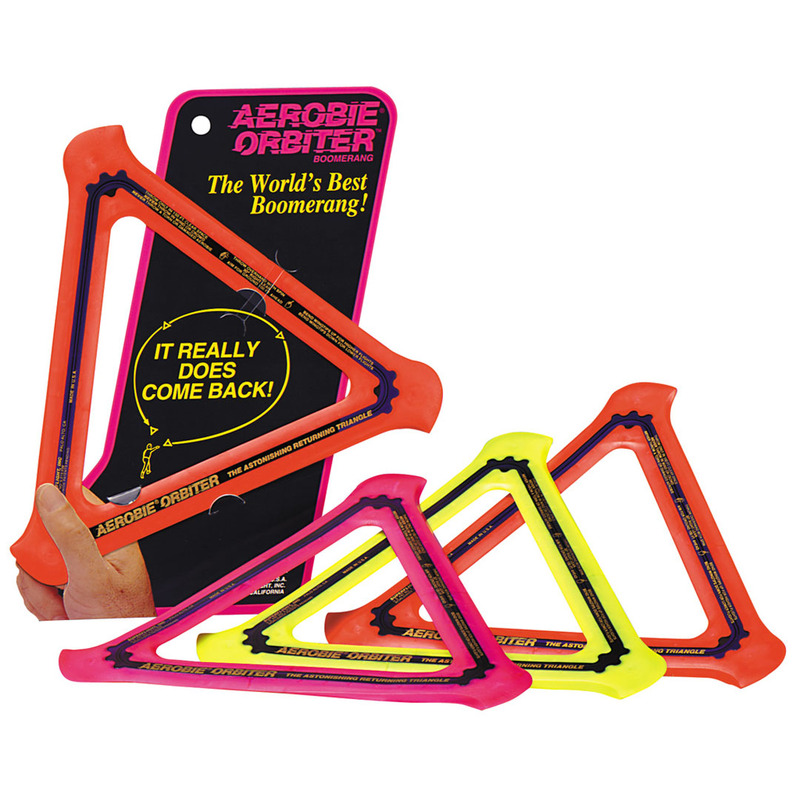 A high performance outdoor boomerang, the Aerobie Orbiter flies in a large circle and then it really does come back. 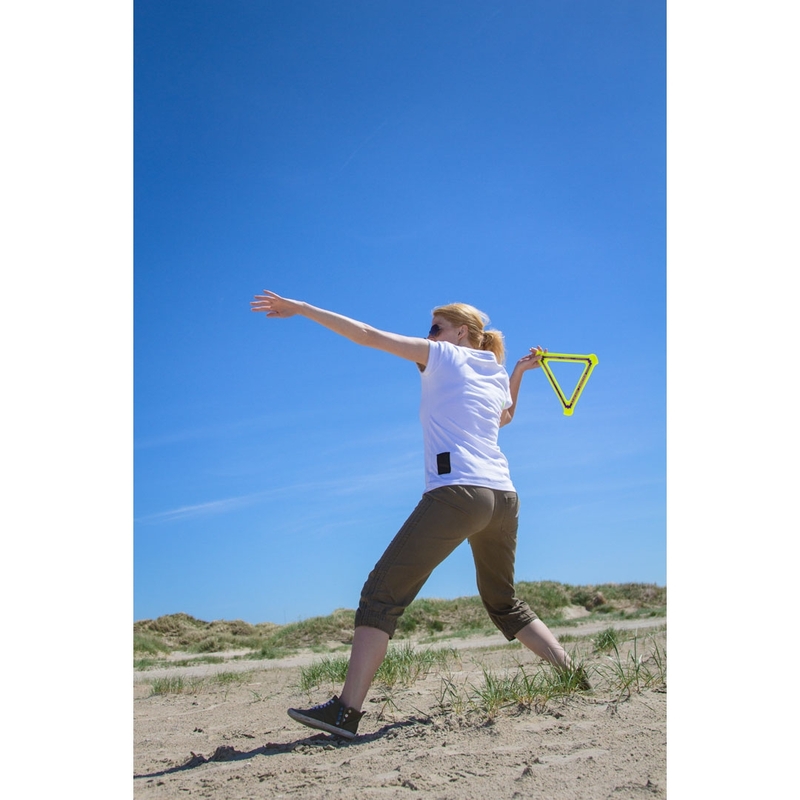 Its high tech triangular design and bright colored, soft rubber edges make it secure to throw and easy to see in flight and also soft and easy to catch. 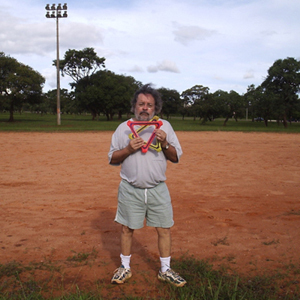 Throwing instructions printed on the boomerang will help you learn to play catch with yourself in no time. Size: 11.5 inches (29cm) per side, equilateral triangle. Available in orange, yellow, and magenta.